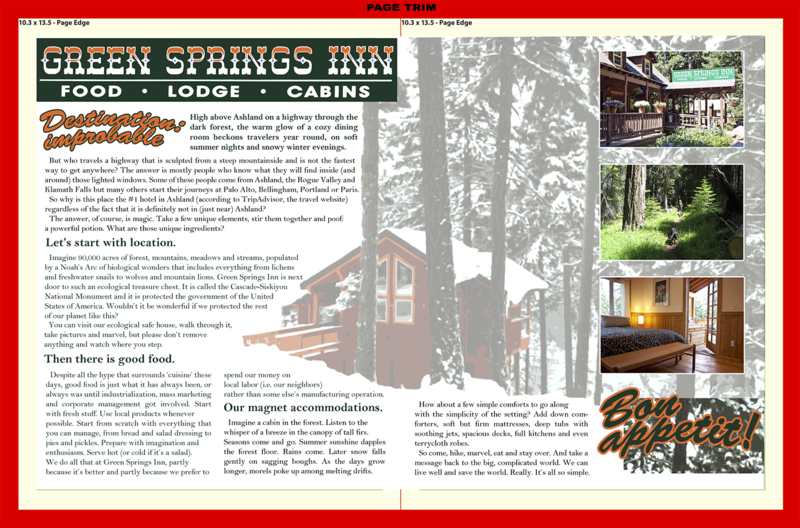 Projects I’ve done for Green Springs Inn, a sustainable resort in the Cascade Mountains outside of Ashland, Oregon. 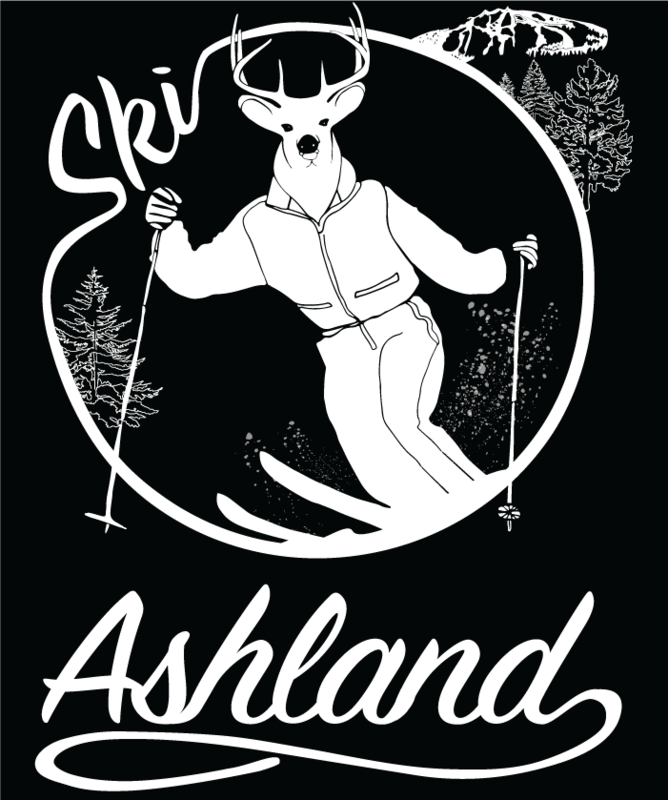 I designed these T-shirts for Green Springs Inn, promoting both this business and and tourism in Ashland, Oregon. I designed and conceptualized this centerfold ad for Greensprings Inn, printed in Jan. 2016 Locals Guide. 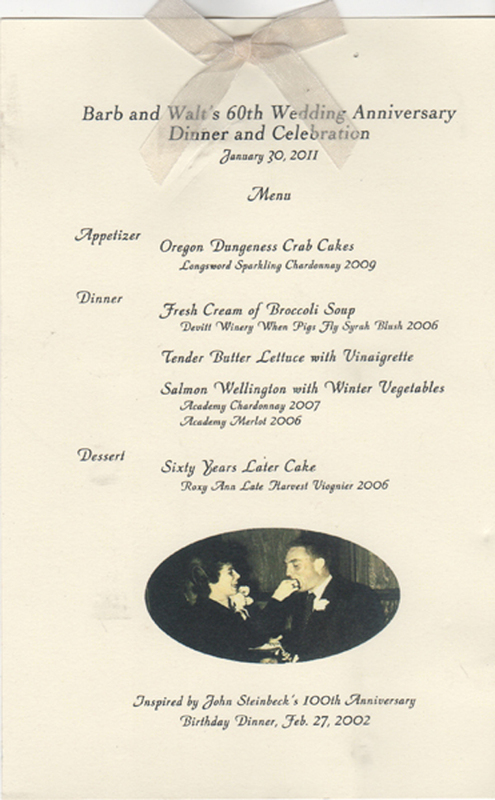 This menu was designed to look like the John Steinbeck Birthday menu shown below.